At last, the world's FIRST magic wand in now available for you to buy and own. Perfectly balanced in the hand and weighted for accuracy, the Kymera will allow you to impress and amaze your friends and family with its specially developed "action at a distance" capabilities. 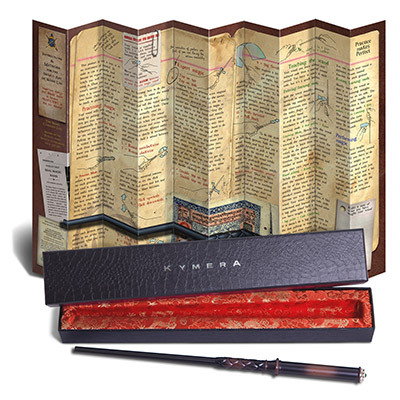 No home is without the new Kymera Magic Wand. Do not delay!